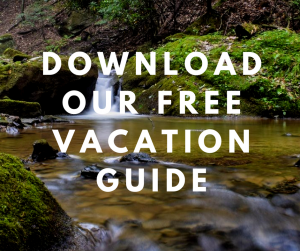 you love adventure and are always looking for an excuse to plan your next travel experience, it’s time to zero-in on a vacation in the Pocono Mountains in Pennsylvania. Why? There are countless awe-inspiring activities no matter what time of year you visit. You can hike beautiful trails, wade into fresh-water rivers for fly fishing, enjoy a relaxing paddle across a lake, or swoosh down a mountain on skis or a snowboard. Check out our top 4 outdoor activities in the Poconos below and mark your calendars for an amazing adventure! 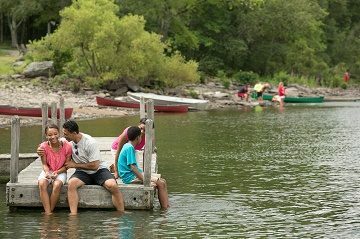 4 Outdoor Activities in the Poconos You Can Enjoy With the Whole Family! 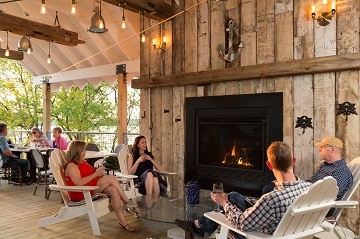 Relax All Year Long at Silver Birches! The Pocono Mountains are in Northeastern Pennsylvania and are a top destination for outdoor lovers. When planning a trip to our beautiful region, you have two options for travel: a road trip or a flight! Whichever you choose, we’re here to give you the best tips and make the process easier for you. Tip: No matter where you fly into, you will need a car to get around the Poconos. Refer to each airport’s websites to see which car rental companies are available onsite! The Pocono Mountains, and the town of Hawley in particular, are a wonderful destination for any traveler. But they are also the perfect getaway if you live in New York City and Philadelphia! Sit back and enjoy a fun and exciting road trip while listening to your favorite tunes, and let the Pennsylvania landscape take all your worries away. You’ll want to leave the skyscrapers behind more often! The drive from New York is barely 2.5 hours long, and Philadelphia is only 3 hours away. Tip: Remember that most of the highways have tolls! Be sure to have cash with you at all times (credit cards not accepted). We wouldn’t want you starting your vacation with a ticket! There is one way to experience the beauty of the Pocono Mountains that combines both physical activity and gorgeous landscapes: Golf! When the flowers are blooming, the days get longer, and the weather is warmer, it’s time to hit the green. We are fortunate to have several golf courses in the Pocono Mountains. 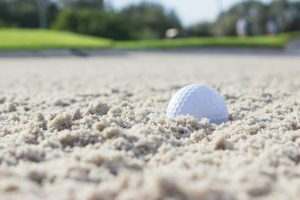 You’ll find prestigious ones like Woodloch Springs, which Golf Magazine rates as “one of the best places to play,” or family-operated country clubs like Red Maple Golf Course! 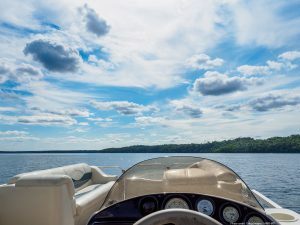 Rent a Boat: We want to make sure you have the best vacation when you visit us, and that’s why we offer a variety of boat rentals at Lake Wallenpaupack. We have several options to meet your summer needs! Choose a Bennington Pontoon (it fits up to eight people), a Sea Ray Ski Boat, or even a fishing boat for a relaxing day on our sparkling lake! Kayak: We offer a wide variety of kayaks and canoes. Check out our kayaks for kids, tandem kayaks, or standards for a solo adventure! Try Paddle Boarding: Paddleboarding is a fantastic way to enjoy the water and work out at the same time. All you need is a large surfboard and a single paddle, and you’re ready to go! Luckily for you, we also rent paddle boards at Silver Birches. Choose between standard Fanatic models, premium bamboo, and even blow up paddle boards! Don’t hesitate to check our recreation center’s page to discover more of our services and prices! The Pocono Mountains in the fall are a sight to behold! If you want to get a close look at the vibrant and colorful leaves springing on all the trees, lace up your most comfortable shoes and go hiking! The Pocono Mountains feature an impressive collection of trails, all accommodating a wide range of levels. 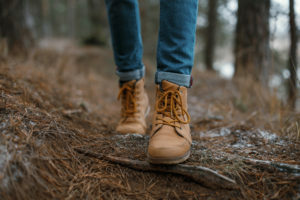 Some of the best hiking in the region includes trails like Bushkill Falls, also known as the Niagara Falls of Pennsylvania, or the Promised Land State Park which features more than 50 miles of trails! If you want to spend a lovely day in the outdoors and hike along a waterfall, then Tanner Falls is the ideal day trip destination! Located in Wayne County, they offer breathtaking views in a peaceful atmosphere. On hot summer days, plan a picnic by the water and maybe a quick swim! You can also make your way up to the top of the 20-foot tall falls, just be careful not to slip on the wet rocks! When the winter comes, it can only mean one thing: fresh powder, and with it a wide range of fun excursions! 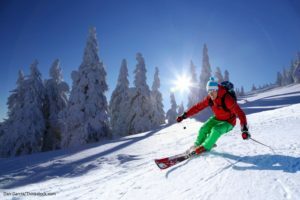 One of the top outdoor activities in the Poconos is undoubtedly skiing (and snowboarding, of course). Head over to Ski Big Bear; its 18 trails are ideally located 20 minutes away from Silver Birches! You can also try Big Boulder Ski Area, Camelback Mountain, or Shawnee Mountain Ski Area. Your dream vacation in the Poconos awaits. At Silver Birches, we know that comfort and elegance are two essential components guests are seeking when traveling, and we strive every day to bring you the best service possible with maximum privacy! Whether you want to rekindle the flame with your significant other, celebrate an anniversary, or gather the whole family for a fun getaway, our beautiful property is made for you. 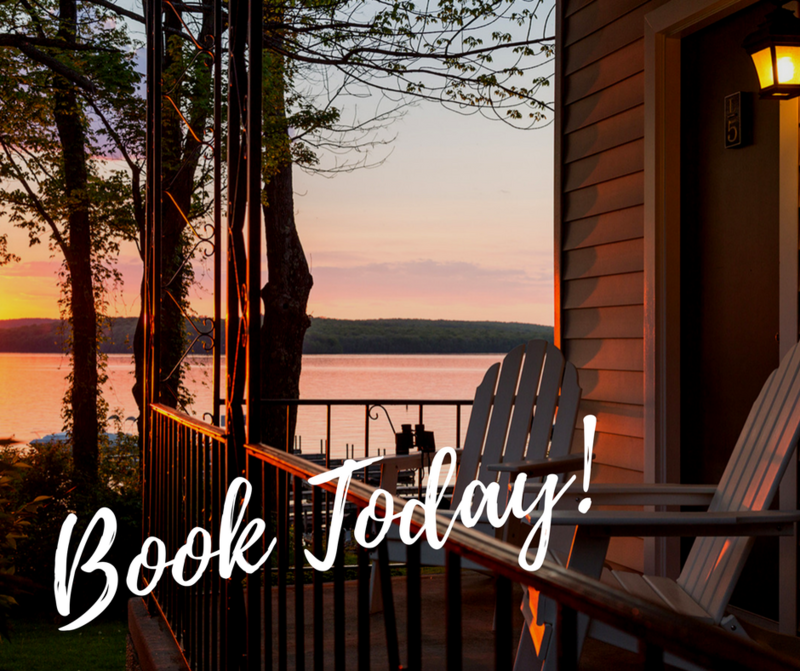 Spend your mornings sipping coffee and gazing at Lake Wallenpaupack, enjoy all that nature has to offer during the day and coming home at night to a cozy room with all the modern amenities you need! We don’t just provide a place for you to stay, we gift you with a unique experience that fits your needs! Why don’t you see it for yourself? Browse our incredible accommodations and select your favorite! We offer several lodging options depending on the nature of your trip. 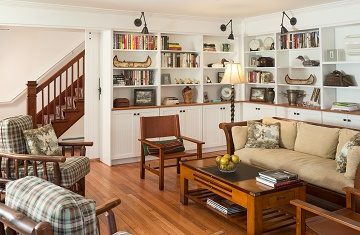 Book a spacious Deluxe King room for a romantic escape, the Bunkhouse for you and your little ones, or even the Fairview House for large family gatherings, a friends’ getaway, or bridal parties!